Pharmaceutical and biotech companies together offer life-changing or, more appropriately, life-saving medicines and materials containing medicines for patients across the world. To ensure demand is met and patients’ health is not compromised, it is essential a strong and secure supply chain is in place to support the drug development lifecycle. Thus, most of the drugs in the industry are now manufactured using single-use technologies. Single-use processing systems are designed for one-time use and are becoming the leading paradigm for pre-commercial manufacturing of biopharmaceutical products. The plug-and-play nature of single-use and an increasing inclination toward using high-end polymer materials is likely a contributing factor for the success of several companies that manufacture single-use bioprocessing systems. In addition, low risk of product cross-contamination, cost-effectiveness and less floor space requirement have boosted the growth of the single-use bioprocessing market. A recent report1 found that the global single-use bioprocessing market accounted for $2.8 billion in 2016 and is expected to reach $9.34 billion by 2023; registering the CAGR of 18.7 percent during the period of 2017–2023. Why opt for single-use bioprocessing? Cost reduction: one benefit of single-use bioprocessing systems is the reduction in cost associated with sterilisation, maintenance and cleaning of steel-based bioreactor systems. This is key and explains the exponential growth of the single-use bioprocessing market as the initial investment and R&D costs required during the manufacturing process are reduced. Boost in productivity: deployment of single-use bioprocessing helps increase productivity due to the reduced complexity of automation and manufacturing costs, as the need for sterilisation is eliminated. In addition, it allows full-scale manufacturing as the cost of water and chemicals is lower for single-use systems compared to conventional stainless-steel hardware systems. Time-saving: single-use bioprocessing systems are designed for faster manufacturing and to save floor space. This reduces the time staff spend on preparation, set-up, validation and documentation. Furthermore, single-use bioreactors offer flexibility, initiating the trend of multi-drug facilities fulfilling demand of production of different drugs under the same roof. Ease of disposal: the major difference between single-use bioprocessing products and conventional products relates to the disposal Single-use bioreactors are safe, simple and easy to clean. Moreover, they almost eliminate the possibility of batch-to-batch contamination through cross-contamination compared to stainless steel reactors. As these systems are disposable, they no longer require the conventional sanitisation process, and materials used in the manufacturing process can be easily disposed of after use. Less water and energy consumption: adoption of single-use bioprocessing systems reduces energy and water consumption and thus demand. As the bioprocessing systems are disposable, less energy and water are required to clean the manufacturing equipment. 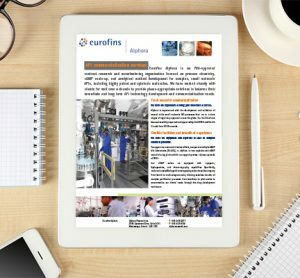 Minimum risk of cross-contamination: two major concerns for biomanufacturers are cross-contamination and high expenditure on bioprocessing pharmaceutical components. Single-use bioprocessing systems could solve both these issues. There are three types of contamination that occur during bioprocessing pharmaceutical products: cross-contamination, microbial contamination and biologic contamination. Unwanted contamination could reduce production yields by increasing additional purification steps. In single-use bioprocessing, the product flow path is completely discarded and replaced after each batch, reducing the risk of cross-contamination. Increasing demand for single-use bioprocessing materials has led to numerous mergers, acquisitions and partnerships. For some, partnerships are regarded as the most efficient way to expand business. For example, in November last year, Chinese pharmaceutical company Wego Pharmaceuticals announced a collaboration with GE Healthcare to manufacture single-use consumables, which could reduce lead times and enhance security of supply for Chinese biomanufacturers. 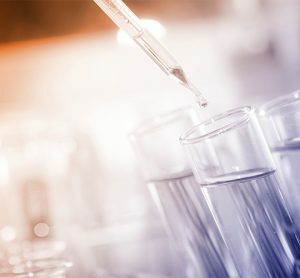 Similarly, US-based biopharmaceutical company Emergent BioSolutions extended its partnership with vendor ABEC to develop a dual plant in Maryland. The company also developed a dual-purpose single-use system at its site in Baltimore, Maryland for large-scale microbial fermentation and mammalian cell culture. 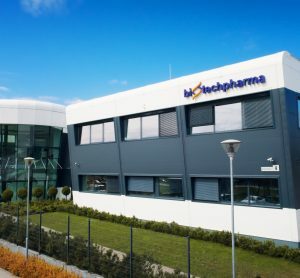 Finally, Merck recently unveiled three novel, single-use bioprocessing products, which are expected to make bioprocessing safer and more efficient than the conventional methods. The flexibility and speed offered by single-use bioprocessing, while keeping total expenditure to a minimum, has played an essential role in the wide acceptance of the technology. 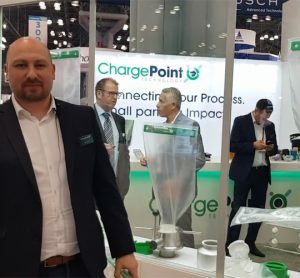 Changeover time between batches with single-use bioprocessing is up to five times faster than the traditional process featured in a stainless-steel environment. The advent of automation has boosted efficiency exponentially, and intelligent biomanufacturing has enormous potential in single-use bioprocessing. If bioprocessing with stainless-steel materials and fixed pipelines gets an automation update, it would boost efficiency and reduce complexity drastically. The process of connecting one bioreactor to another would be simplified by using a single piece of disposable tubing. Automation in single-use bioprocessing would become a novel combination of automated process control guided by an operator with few manual operations and, ultimately, it will just be a platform to interact between processes. This would reduce human errors and eventually increase product quality. Aside from this, the operator could set reminders to improve consistency of manual operations. With the help of automation in single-use bioprocessing, real-time control of equipment is possible, allowing the system to automatically adjust to variations and optimise the process. These additions would result in better yields, less waste and improved quality of the final product. With the advent of automation in bioprocessing, we have only scratched the surface of utilising the huge amount of data generated by automated systems. Big data analytics is transformative and can help achieve the real concept of precision medicine. Although the concept of big data in single-use bioprocessing is still in the developmental stage, it won’t hurt to consider the advantages of such incorporation. Such analysis would result in several useful outcomes, including prediction of equipment failure, keeping track of maintenance timetable, and controlling variables to optimise product yield. It is expected that the next big thing in the single-use bioprocessing market will be the incorporation of machine learning based on big data. This would help develop analytical models that can predict and improve process parameters to enhance product yields. Over the last few years, it has become clear that investors are eager to fund incorporation of innovative technologies, such as automation and big data, with single-use bioprocessing materials. However, to gain insight on the future of bioprocessing, we must wait. Swamini Kulkarni holds a bachelor’s degree in Instrumentation and Control Engineering from Pune University and is a content writer at Allied Market Research. She is fascinated by the impact of technology on human life and loves to discuss science and mythology.